The pet owners, dogs and cats of all, they want the best for their "small" and looking for a healthy and natural diet. 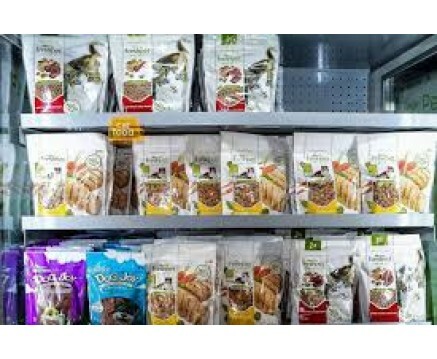 The pet food sales continue to grow as they go to great all those products and those brands that, despite even higher prices than we spend in proportion to our food supply, we promise flavor, delicacy, quality ingredients. From here the idea of starting a production line of foods and completely natural foods for dogs and cats. high quality products, certificates, obtained with natural and rich ingredients of supplements to supplement their diet. To build customer loyalty can offer ancillary services such as home delivery or the ability to program the orders in time based on fuel consumption.